The success of the solar industry is due in large part to people being open to new ideas and being excited to implement them, even if the outcome is unknown. We try to approach Solar Builder the same way to keep things fresh and interesting. This year we tweaked the Project of the Year competition. We started with 30 project submissions divided across three main categories: C&I, utility-scale and solar + storage. After two weeks of voting from our readers, we declared Project of the Year winners for those categories. But we also liked the idea of having just one overall winner. So, that’s what we did: We opened up the vote one last time to see which project would take home the Project of the Year Award for 2017 among the three finalists. The overall winner was awarded the cover, the largest feature spread and the most jealousy of its peers. Here are all of the winners along with the Editor’s Choice selections. Solar energy is superior to other generating resources not just because of what it provides but because of what it can save. Deployed in the right situation, energy costs go down, CO2 emissions are removed from the atmosphere and maybe a few other nonrenewable resources get to stay put under our feet. Our 2017 Project of the Year adds one more saving to the list: lives. That isn’t hyperbole either. The Roadrunner Food Bank in Albuquerque, N.M., is a nonprofit feeding about 70,000 people a week. Any money it has is directly turned into meals for the hungry. Unlike the intangible CO2 saving stats often cited for solar projects, the solar + storage system installed by Affordable Solar and Sharp is having a direct impact on the community. Previously, the food bank payed on average $180,000 a year in utility bills with an estimated 30 percent of that going toward demand charges. 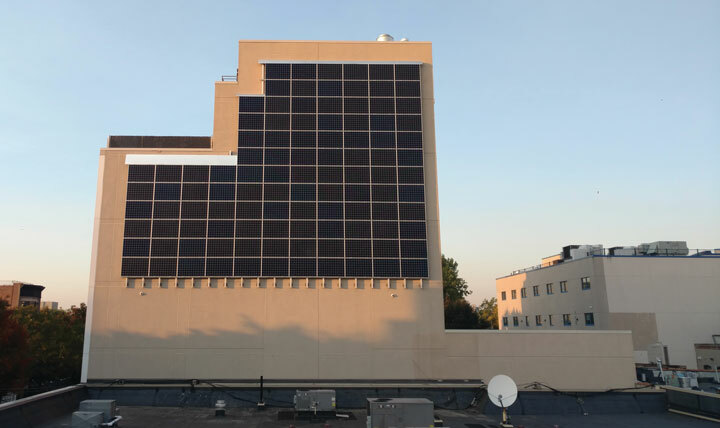 The solar + storage system is expected to save the food bank approximately $30,000/year in utility charges and $1.2 million over its lifetime. Times that by five. That’s how many more meals Roadrunner can provide that it could not previously. Not that we need to say more to make its case for Project of the Year, but everything that led to the development of this project was needed to make it possible. Sure, utility solar projects don’t quite strum the heart strings like solar installs that support the work of food banks or schools. Their size and scale inspire awe but not “awwwww.” But these energy-generating behemoths are booming right now, and they play a huge role in driving the conversation for more solar power, a role in need of celebrating. 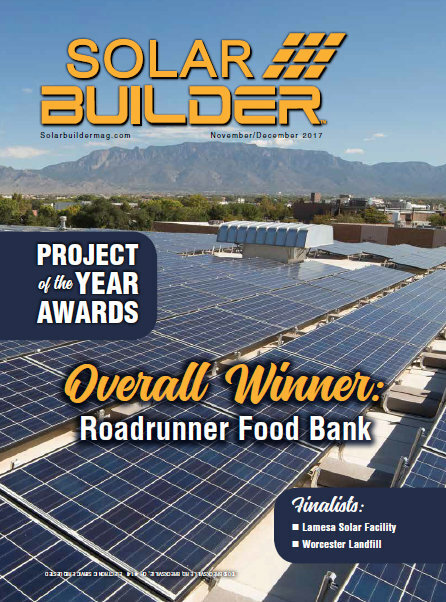 The Lamesa Solar Facility — this year’s Utility-Scale Project of the Year — is an archetype for this category in which saving cents and seconds are of utmost importance. 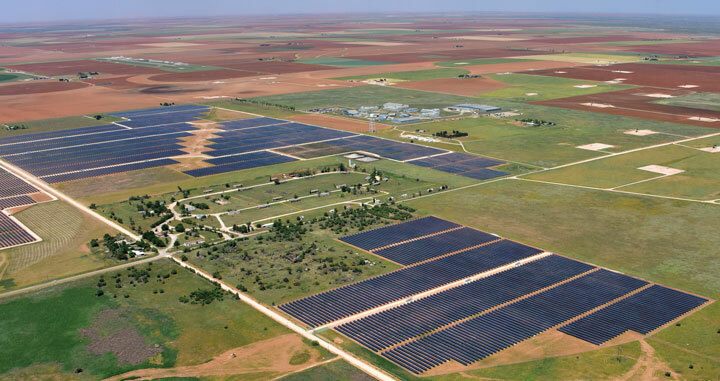 Consisting of 410,000 solar panels that track the sun throughout the day, the 131-MW Lamesa Solar Facility belongs to one of the largest utility-scale solar portfolios in Texas, providing power to 15,000 local homes. How’s this for timing: Environmental Protection Agency Administrator Scott Pruitt made headlines, as we were writing this, for proudly proclaiming that he would get rid of the tax credits for the solar industry. Let that marinate as we tout the virtues of our Commercial & Industrial Project of the Year Award winner. Six projects that didn’t win, but we thought were cool for reasons such as innovation, job creation, technology and problem-solving. Check them all out here.